Visitors to the Nigg Energy Park on the shores of the Cromarty Firth, are sometimes shown a grainy 1970’s B&W newsreel, with images of bulldozers, cranes, old fashioned ships and helicopters, very large bits of metal, and politicians whose names can only now be found in history books. Throughout the film two key themes dominate; scale and urgency. Industry and government were desperate to get as much oil out the sea as quickly as possible and had to build new enormous structures to achieve this. Everything was big, not least the men’s hair, suit lapels and platform boots; it was the biggest hole in Europe, the heaviest steel jacket, the largest moveable structure, the longest pipeline. As a result the years following the 1970 discovery of the Forties oil field, the largest in the North Sea, saw the North of Scotland become the centre of intense activity with the world’s major oil companies. For the fledgling Highland Board, run by planners with an instinctive desire to control and nurture industrial development, there had to be a quick change in direction so that it would be not overwhelmed by the arrival of North Sea Oil. Those significant finds in the central and northern North Sea led to Oil majors scouting the Highlands and Islands for Platform construction sites, and locations for Oil Terminal and loading facilities. No part of the region was ignored. Shetland and Orkney would become the homes of major oil terminals, with Lerwick harbour becoming an important service base. Stornoway saw Norwegian shipping magnate Fred Olsen establish a fabrication yard at Arnish point. The deep sea Lochs of Wester Ross and Argyll saw the construction of enormous concrete structures. 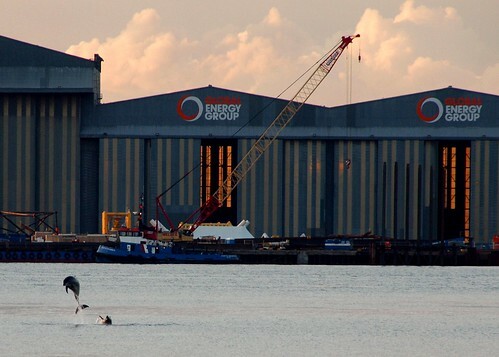 The Moray Firth saw two major yards at Nigg and Ardersier, employing 5000 between them, and Invergordon was the home for a major undersea pipe coating plant. The Board quickly modified its approach away from investment alone, to providing a comprehensive information service for oil companies, hosting visits, channelling enquires and signposting to the local supply chain. In those pre-internet days, the Board’s Planning and Research Division set up in 1971 a “planning room” in the Inverness HQ with information on population, labour and services, ports, deep water anchorages, and aerial photographs of potential development sites. Indeed the US Company McDermott established its fabrication facility at Ardersier on the advice of the HIDB, and the Board was closely involved in planning decisions for potential major construction sites in Caithness, Wester Ross and Argyll. A number of proposals were quite contentious, leading to fractious planning enquires, with plans for Concrete fabrication at Drumbuie in Loch Carron and Dunnet Bay in Caithness both being turned down despite strong support from local interests. However the Thurso sand yachting community were relieved that their beach would not be lost. With the fragmented nature of town and county councils (ancient burghs such as Cromarty, Tain and Dingwall all had their own town councils, and were still planning authorities until 1975) the Board played a major strategic role as an agent of central government in the development of Oil and Gas. 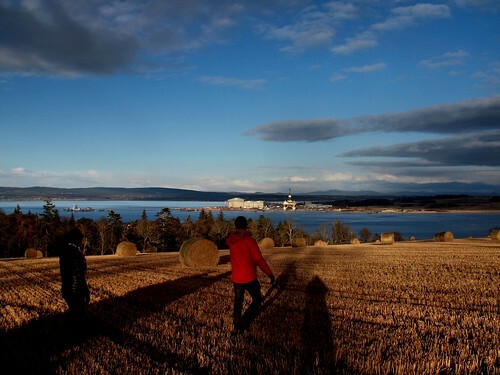 It was a strong stakeholder in the Moray Firth Working Group, the Scottish Economic Planning Departments strategic planning group in the planning for the industry, and undertook many region wide planning and development activities that would subsequently be undertaken by regional and island councils. Interestingly, by the mid 70’s the HIDB’s librarian was offering advice to other public bodies on the development of a library and information resource for Oil and Gas. The arrival of the oil industry also brought major social and population changes to parts of the region, which were in the main positive but it also caused some workforce issues in other sectors, local housing pressures, and there was also the issue that a large part of the regional economy was now underpinned by the cyclical nature of the oil and gas industry. Kishorn in Wester Ross was the most dramatic example of the local impact of large scale oil. French company Howard Doris established a yard to build concrete foundations, and within a few months were employing thousands, housed on-site camps and in accommodation ships. The project involved the excavation of a huge dry dock, in which the 600,000 tonne Ninian Central Platform was built in 1978. At the time, it was the largest movable object ever created by man. Some sources say it still holds the record. The oil boom also stimulated new economic and social activities right across the Highlands and Islands. The play “The cheviot, the stag and the black, black oil” played to packed audiences in community venues across the region, many in village halls supported by the HIDB’s community programmes. The dramatic need for labour saw crofters, farm labourers, fisherman and shop keepers become welders, riggers and off-shore technicians through short term accelerated training courses run by the major employers. The “two weeks on two weeks off “ working patterns for rigs and island construction sites fitted neatly with the demands of crofting and creel fishing, with high wages being invested back in new buildings, improved fences and diches, and better stock. 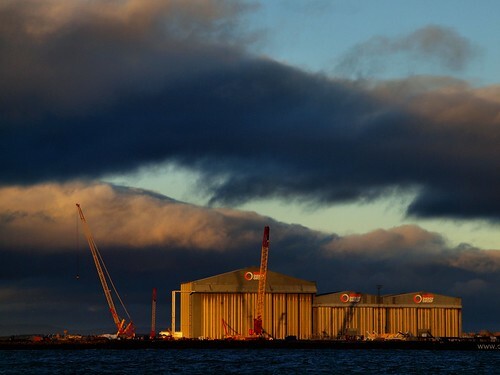 So by the end of the decade, the region saw the development of large fabrication sites across the region, and three oil terminals in Shetland, Orkney and the Cromarty Firth, all with associated marine services, tugs and port infrastructure. An entire new engineering and fabrication workforce had been created from scratch, with wages considerably higher than the regions traditional sectors. Employment rates amongst women soared, as the catering, accommodation and support needs of fabrication plants and work camps mushroomed. Female welders were still a rare sight though. And whilst the Oil Industry in the region was dominated by large multinationals, the very scale of activity was stimulating a local supply chain, from construction and transport, through engineering and fabrication to recruitment, and training services. It was on this growing supply chain that the HIDB was able to focus, investing in individual firms, building new industrial estates in key locations, supporting training and education programmes, promoting the region’s oil industry potential at major trade shows in the US and Europe. In fact the Board came under some criticism for focussing on the oil industry when it was expected that the industry would be over by the mid 80’s. Looking back 40 years it’s almost surreal to remember the Klondyke nature of the Highlands and Islands oil boom. The solid caravan of cars and buses on the old single carriageway roads leading to Nigg and Ardersier at shift change time; the scrum of oil workers transferring from planes to choppers in the old 1940’s terminal at Sumburgh airport; its elegant wicker chairs scarred with cigarette burns and sausage rolls; bull dozers moving mountains in the rain to create dry docks and oil storage tanks; every passenger on work buses and ferries stepping straight into the public bars of Highland hotels; and how it seemed the entire population of Inverness and Easter Ross thronged the shores of the Cromarty Firth to see Highlander 1, the first enormous steel jacket build at Nigg being towed out through the Sutors on a grey September day in 1974, destined for the Forties field discovered just four years earlier. 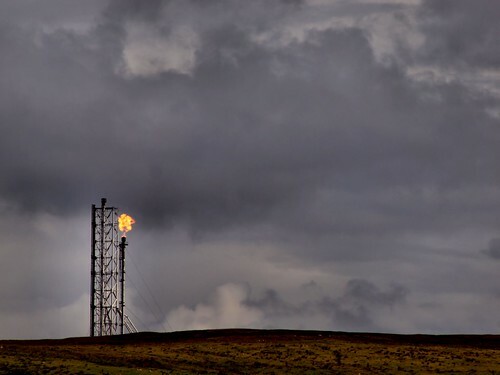 This was first published in the Energy North Supplement of the North of Scotland Newspapers group in September 2015, as the second of four articles about 50 years of Energy in the Highlands and Islands. The sun at 57 North is not very high in the week after midwinter. Cracking sun though, and there is nothing better than walking through frosty stubble fields before returning home to turkey soup and fresh bread that’s been cooking in the Rayburn when we have all been out and about. A wee walk in the late summer evening, and a couple of dolphins putting on a serious show in the Firth for about 30 mins. It seems they were chasing Sea Trout, as they were jumping all over the place as well. Of course I was out with a camera with a dud battery and the wrong lens, but hey, you take what you can get! Strange how a row of Industrial buildings and a couple of cranes can be transformed by low winter light, and a background of ominous clouds.